Ram Bahadur Bomjon (born on 9 April 1990, sometimes Bomjan, Banjan, or Bamjan), also known as Palden Dorje (his official Buddhist name), is from Ratanapuri village, Bara district, Nepal and is believed to be the reincarnation of Buddha by his supporters. 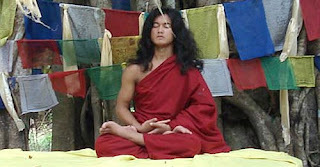 An 18-year old Nepalese ascetic whom many have hailed as a new Buddha. According to his brother Gangajit, a "very clear and white" light "different from sunlight" emanated from his head. 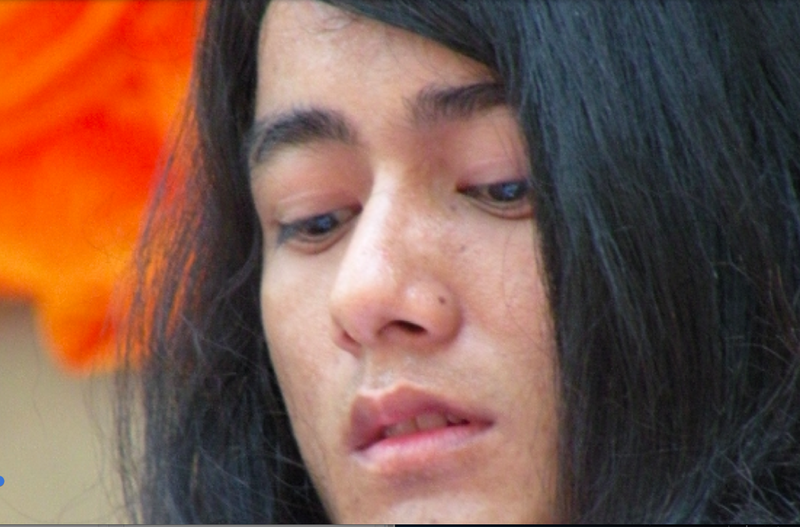 On November 8, 2005 Dorje arose and said to the public, "Tell the people not to call me a Buddha. I don't have the Buddha's energy. I am at the level of rinpoche." On 2 August 2007 Bomjon addressed a large crowd in Hallori jungle in Bara district of southern Nepal. The Namo Buddha Tapoban Committee, which is devoted to looking after Bomjon, assembled the meeting. A notice about the boy's first-ever preaching was broadcast by a local FM radio station, and the committee also invited people by telephone. Around three thousand people gathered to listen to Bomjon's address. A video of the event has also surfaced. According to Upendra Lamichhane, a blogger who wrote an article and took pictures of the meeting, Bomjon's message was "The only way we can save this nation is through spirituality". Murder, violence, greed, anger and temptation have made the human world a desperate place. A terrible storm has descended upon the human world, and this is carrying the world towards destruction. There is only one way to save the world and that is through dharma. When one doesn't walk the righteous path of spiritual practice, this desperate world will surely be destroyed. Therefore, follow the path of spirituality and spread this message to your fellows. Never put obstacles, anger and disbelief in the way of my meditation's mission. I am only showing you the way; you must seek it on your own. What I will be, what I will do, the coming days will reveal. Human salvation, the salvation of all living beings, and peace in the world are my goal and my path. "Namo Buddha sangaya, Namo Buddha sangaya, namo sangaya." I am contemplating on the release of this chaotic world from the ocean of emotion, on our detachment from anger and temptation, without straying from the path for even a moment, I am renouncing my own attachment to my life and my home forever, I am working to save all living beings. But in this undisciplined world, my life's practice is reduced to mere entertainment. The practice and devotion of many Buddhas is directed at the world's betterment and happiness. It is essential but very difficult to understand that practice and devotion. But though it is easy to lead this ignorant existence, human beings don't understand that one day we must leave this uncertain world and go with the Lord of Death. Our long attachments with friends and family will dissolve into nothingness. We have to leave behind the wealth and property we have accumulated. What's the use of my happiness, when those who have loved me from the beginning, my mother, father, brothers, relatives are all unhappy. Therefore, to rescue all sentient beings, I have to be Buddha-mind, and emerge from my underground cave to do vajra meditation. To do this I have to realize the right path and knowledge, so do not disturb my practice. My practice detaches me from my body, my soul and this existence. In this situation there will be 72 goddess Kalis. Different gods will be present, along with the sounds of thunder and of "tangur", and all the celestial gods and goddesses will be doing puja (worship). So until I have sent a message, do not come here, and please explain this to others. Spread spiritual knowledge and spiritual messages throughout the world. Spread the message of world peace to all. Seek a righteous path and wisdom will be yours.